Please visit Capt. Ron's "Main, 5 Star Performer" West Palm Beach, GigMasters page for client feedback. Member since 2005. Capt. 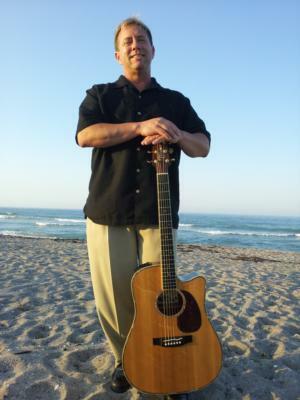 Ron's exceptional vocals and unique spin on popular music at his live performances touches the soul and has made him one of the most requested acoustic guitarists and vocalists in South Florida. He began his career over 20 years ago in 1987 at the Jupiter Beach Resort & Spa where this accomplished singer and guitarist brought the perfect blend of class and style, music and fun to weddings, corporate functions, parties and special events, and has been doing so ever since. During this time he has shared the stage with Larry Johnson, first tenor of the "Temptations", Thomas McClary, guitarist and co-founder with Lionel Richie of "The Commodores" and other well known artists. Ron has also had the opportunity to perform before celebrities such as Donald Trump and Steven Spielberg. As a performer, songwriter, recording artist and recording engineer, Capt. Ron is a sought after professional musician, entertainer, member of ASCAP (American Society of Composers, Authors and Performers) and the perfect addition to your special event. 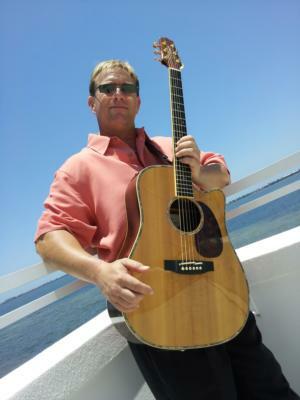 Ron, an accomplished singer and guitarist will make your event one to remember and add the perfect blend of class and the Florida lifestyle to your gathering. Capt. Ron is an experienced wedding performer and can be combined with a seasoned wedding DJ/emcee with over 20 years experience as a DJ and event planner. For more lively events Capt. Ron is also available as a duo or trio with percussionist and or bassist and vocalist as the band "Mutiny". Please visit the CaptRonEntertainment website for further information and services. Sifting through all the guitar players on Gigmasters can be overwhelming. I watched 7 different videos of performers before clicking on "Captain Ron." Listening to his voice and reading the diversity of his song list made my choice easy, but Captain Ron surpassed my already high expectations. His ability to gauge the crowd and dictate the energy of the event with his music testified to his professionalism and talent. Perhaps my most convincing testimony is that my guests approached me all throughout the night with comments like, "Where did you find this guy!" and "We are definitely stealing Capt. Ron for our party!" Thank you Capt. Ron for a memorable night! Please note Capt. Ron (Solo, Duo, Band) will also travel to Miami Springs, Hialeah, Coral Gables, Opa Locka, Miami Gardens, Miami Beach, Hollywood, Key Biscayne, Miramar, Pembroke Pines, Hallandale, Fort Lauderdale, Princeton, Homestead, Dania, Leisure City, Florida City, North Lauderdale, Pompano Beach, Coral Springs, Coconut Creek, Lighthouse Point, Parkland, Deerfield Beach, Boca Raton, Key Largo, Delray Beach.